Introduced in our Cruise 2019 presentation, the Topette pump is designed to wear with the collection’s eclectic prints and lively colours. 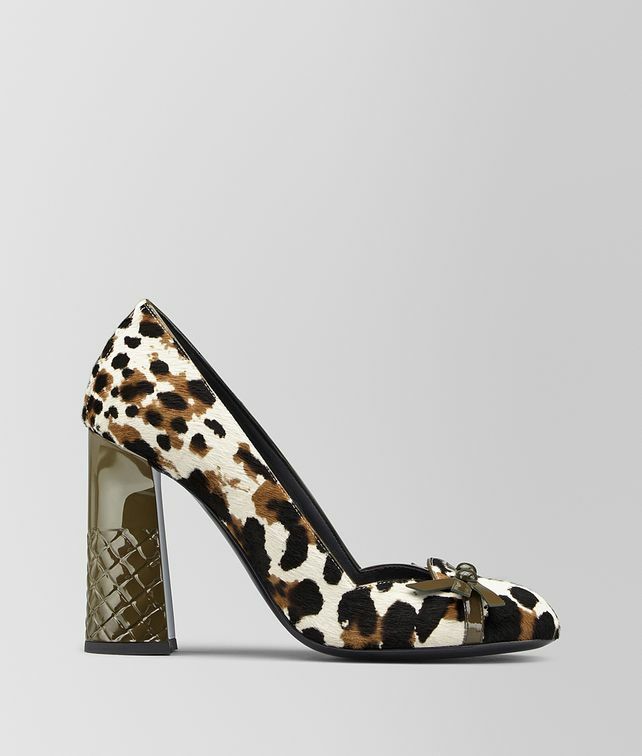 The round-toe style is crafted from haircalf leather with an abstract animal print and accented with a flat patent leather bow in a rich contrasting hue. The sculptural patent leather block heel is engraved with the intrecciato pattern. Finished with patent intrecciato detailing at the back.